Tattoos are my life. I think they are the most creative art form in the world. butterfly before. I happen to think this is a cute tattoo. But it is definitely faded and blurry. tiger before. I guess a tiger going for a swim seemed like a good idea at the time. 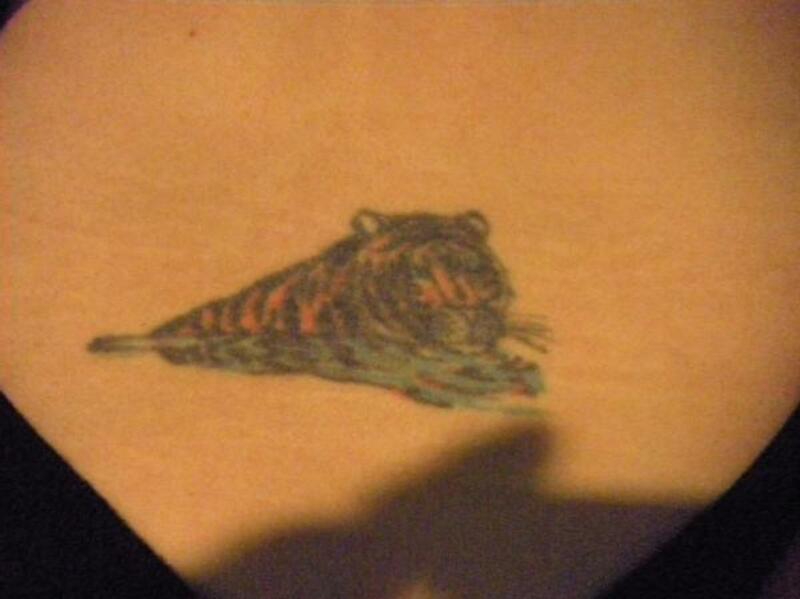 tiger after. now this cat commands attention! skull before. Definitely faded. And a little odd, but to each his own I guess. 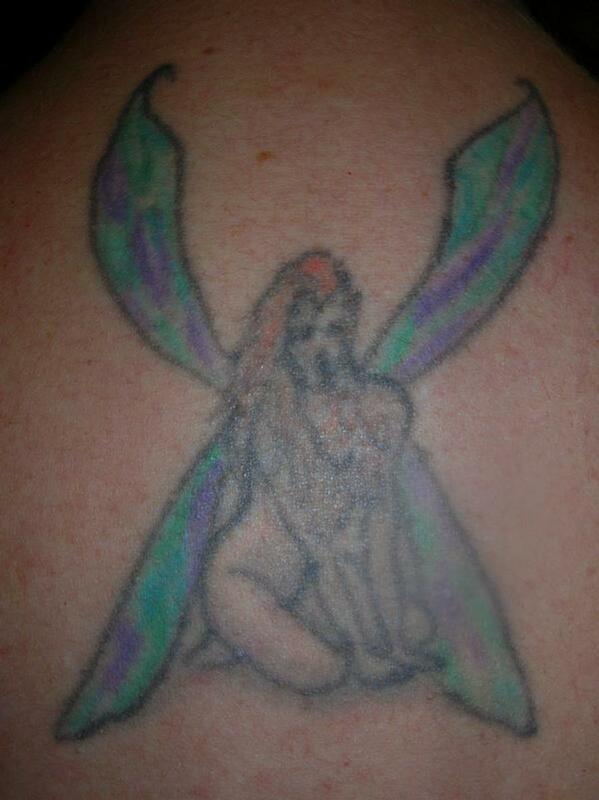 fairy after. a complete departure from the original fairy design! There have been plenty of articles written lately about how to decide about getting a tattoo and what tattoo design to choose. They offer some great advice. And I hope people out there are following it. But what if it's too late? What do you do if you already made the bad decision? Or what if what was a good decision at the time isn't any longer? Some things do age beautifully. Bronze for example. The statue of liberty wasn't always green folks. That lovely color even has a lovely name, patina. And removing it from artifacts by polishing can actually reduce their value! 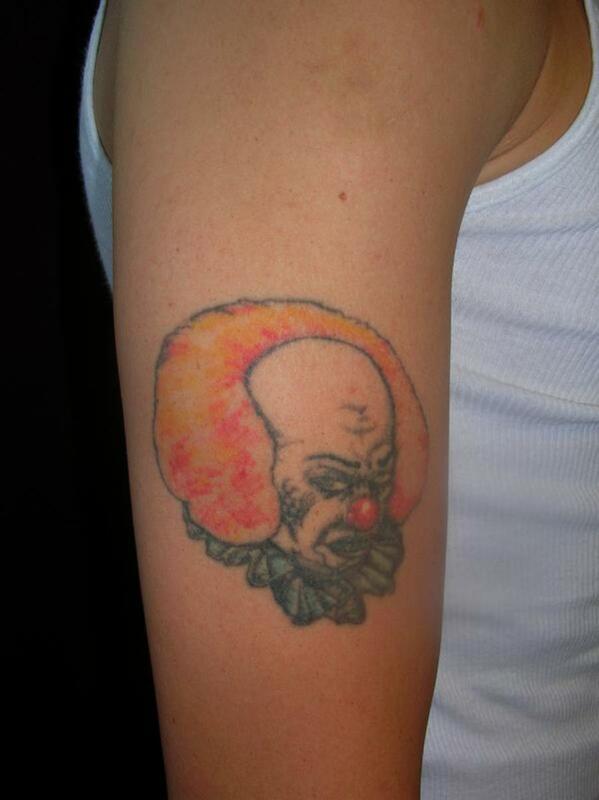 Unfortunately, many tattoos do not fare so well with age. I have seen a tattoo that looked new after ten years. And I have seen butterflies that now look more like a moth that met with a fly swatter. It happens. And when it does, what do you do? Or even if that twenty year old ink still looks new, perhaps it isn't really the look you want any longer. Maybe it was a mistake. Maybe it's just not the same. Tastes change, lifestyles change. Tattoos on the other hand are forever. Or are they? You Fell Out of Love With Your Ink. Now What? If you fall into any of the categories above, or have another reason you are less than in love with your ink, what do you do? Well, you can live with it. A lot of people do. I see them everywhere. And now that summer is approaching they are sure to be out in force! Well, if you are one of these folks, you don't have to be. You can do something about it. There are many options available today. 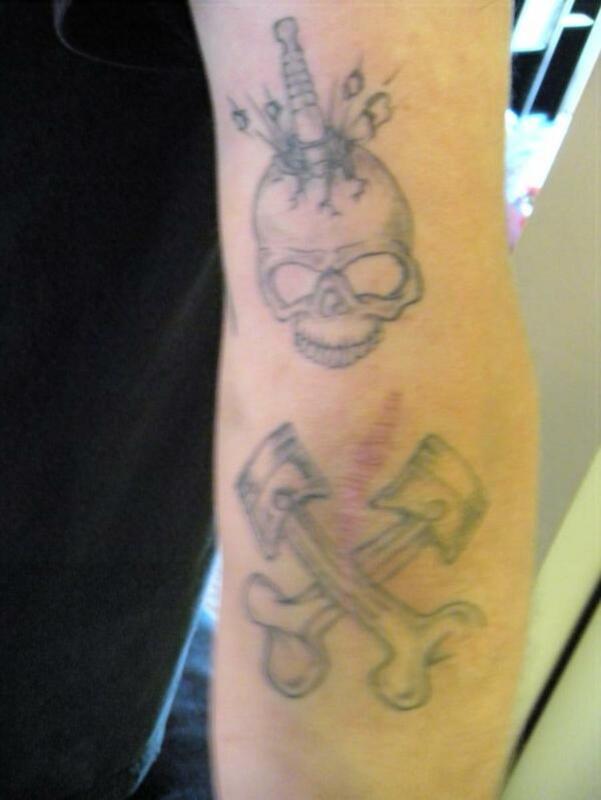 There are a number of very good tattoo cover-ups on the market for those that need to temporarily hide their ink. They come in the form of makeup or in clothing of sorts. Be careful what you buy. And don't skimp on the cost. 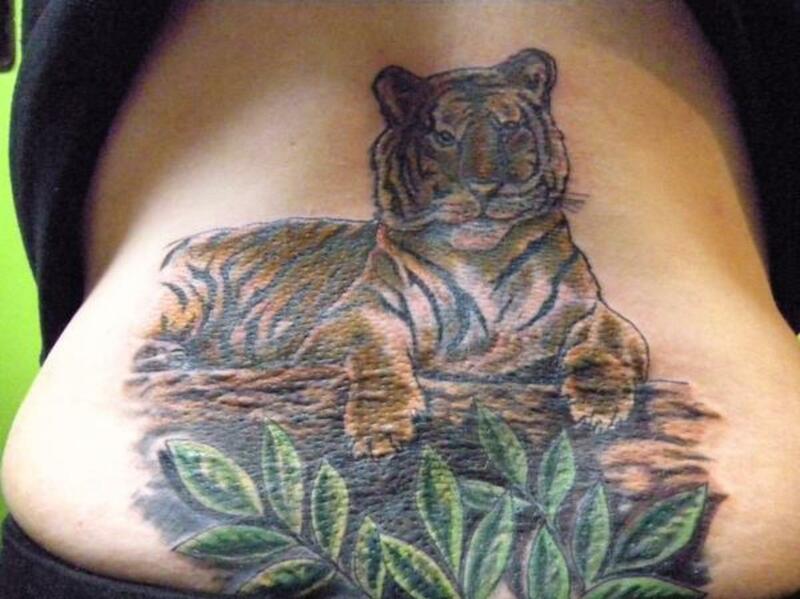 A cheap cover-up can leave things looking worse than the tattoo itself. Getting the right stuff can save the day. I know. I was recently in my sister's wedding wearing a bridesmaid dress that left a very large tattoo of a skull exposed. I promised her that it would be covered. I researched a long list of products online, read reviews, and went to a few cosmetic stores. I finally settled on ColorTraition and bought a sample kit that included several shades. That was enough to cover my tattoo for the wedding and I figured once I knew which shade I was, I could buy a full size bottle if I wanted. It worked great and even stayed on through the reception, crazy dancing and all. 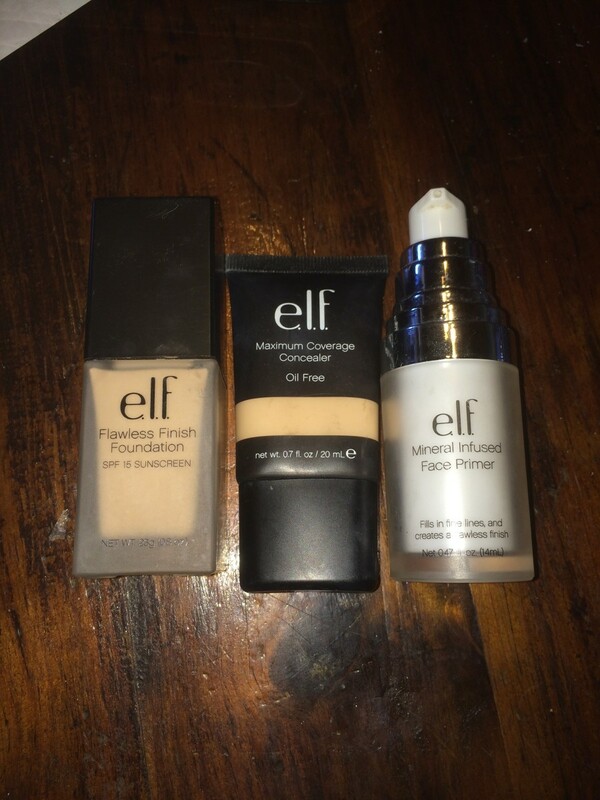 It also works great to cover blemishes! 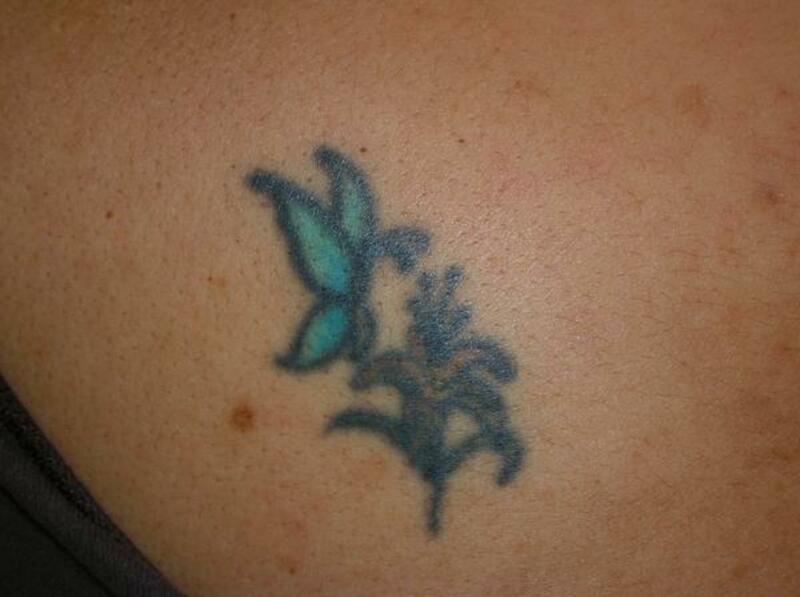 I am sure many of you have heard of laser removal as an option for tattoo removal. I have even heard people considering tattoos say something like - well now there is laser removal and I can have it taken off. It is out there and does work. But it is not to be taken lightly. It works by burning the ink. This means it is painful. Even more than getting the tattoo in most cases. And it can leave scars. So you might be rid of the ink but you also might not look like new. A third thing to consider is the cost. It can take many treatments and they are not cheap and not covered by insurance. That being said, sometimes that is the best way to go. I know a gentleman that had two full sleeves almost completely removed for personal reasons. All he kept was a portrait of his wife. His arms look fantastic. You would never know what had been there. He also endured months of painful treatments and spent thousand upon thousands of dollars. So those of you reading this that are still getting tattoos or are considering their first, don't think there is a quick fix out there if you decide you want it taken off. There are products on the market that claim when applied to tattoos, they will cause the tattoo to fade and ultimately disappear. I do not have any personal experience with these products, nor do I know anyone that does. A quick online search for reviews met with mixed results. They seem to take quite a while to work and are not a good idea for those with sensitive skin. At the very least they might be worth a shot for someone with a small tattoo and a lot of patience. As always, and I can't say this enough, do your research. Maybe eliminating your ink isn't necessary at all. You might even be getting more. But what about that one tattoo that you have and are less than in love with. Maybe it's faded. Maybe it was a bad decision. Maybe it isn't quite the masterpiece you wanted but it was all you could afford at the time. 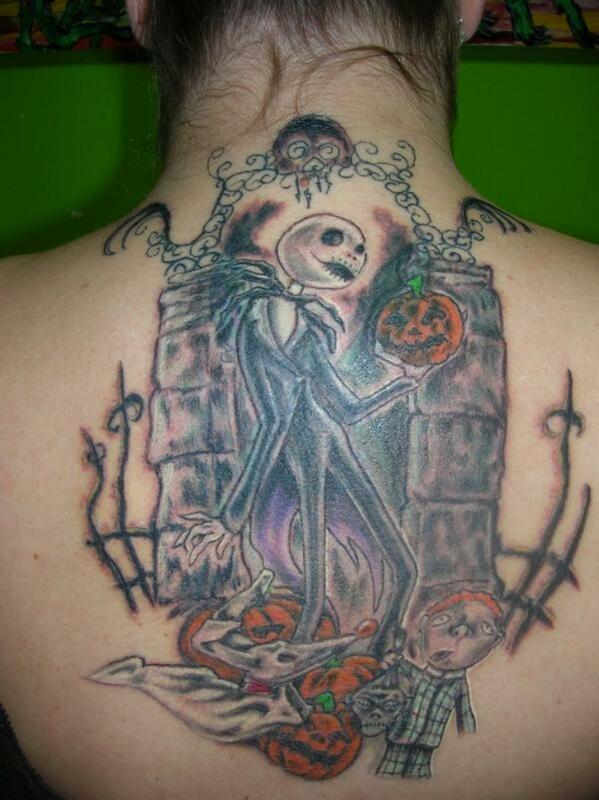 Instead of living with the bad ink, or getting yet another new piece, why not do something about that old one? Get it retouched. Or get it redone completely. There are good tattoo artists that can take your drunken mistake, or blurry rose, and turn it into a work of art, Why live with something you aren't happy with or something substandard. Do something about it. You might even be happier with the results than if you got something brand new. 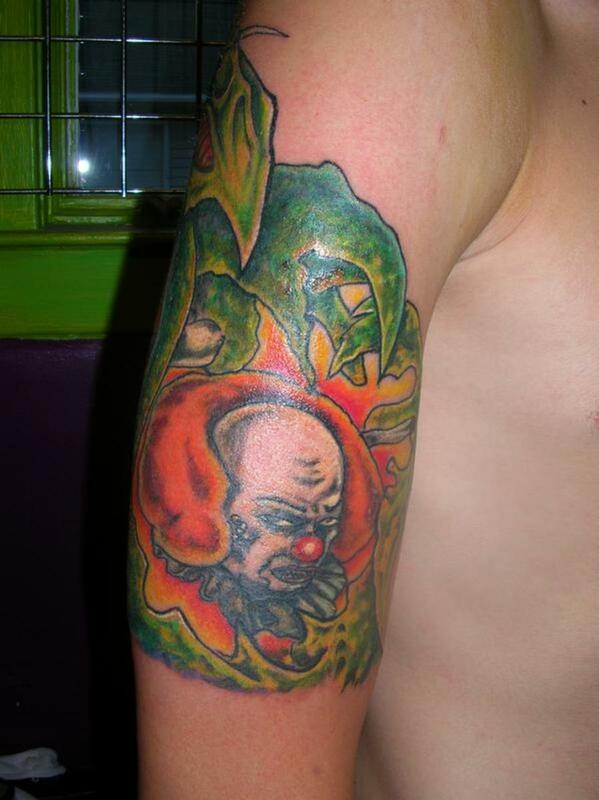 If you are going to get your tattoo retouched or covered with another, the same rules apply as getting a new tattoo. Do not rush into it. You don't want to turn a small mistake into a bigger one! Do not skimp on the cost. Tattoos are expensive. There is no way around that. If you are short on cash now, save up. Consider it as an investment in a work of art, and in yourself. Shop around. You definitely want to go to an artist who has done plenty of coverup work and retouching. Look at some of their work. And by all means, talk to them. Discuss your goal and your concerns. If you are at all unhappy with their answers or personality, do not let them touch you. There's plenty of competition out there and if they are not going to suit your needs you can go to someone else. You want this to be a good experience. A good artist will work with you on the design. If you want minimal size and change, that can be done. If you really want to go for it, the sky is the limit. Get something spectacular. Photos: The photos in this article are courtesy of my tattoo artist, Steve. I would let him doodle on me if he wanted. And that is what I mean by picking the right artist. Steve works out of Primal Inc. 1955 Central Ave., Albany, NY. I really need to also reinvent my tattoo! If it is that small, absolutely YES. Shop around to a few places though and look at their work. With something like that I see alot of bad artists just cover over it with black and try to work it in a bigger design. You will end up with big blob!.... If it is very dark there are a number of creams you can use to lighten it first. A good artist will work with you to het it right. ShaydeShaffer - I am so sorry to hear about the passing of your dad. Tattoo or not, he is with you every day and will always be a part of you.... I hope you do decide to have something great done with your tattoo. It should always be omething that makes you feel good when you look at it. Take your time with the decision.... I had no idea how much could be done to an existing tattoo until I saw my friends work, Amazing!.... Wishing you all the very best. I love this Hub! 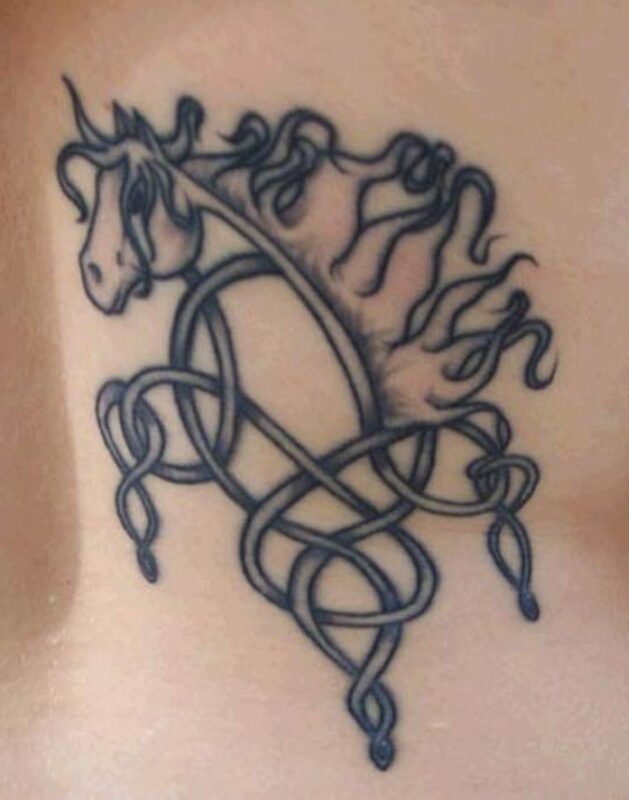 My dad was at tattoo artist and when he passed away, I got a tattoo in memory of him, but the artist did it wicked light-handed because I was 13, I am now almost 20 and it's really beginning to fade, I think I may take your idea to heart! Thank you, so much for this! I was just going to get it touched up, but this, I love this. Great hub, creative too. If I do get a tattoo and it goes haywire I know what to do. Thanks for sharing. Docmo - Thank you for the compliments. No tattoos? Ever? Or just no bad ones? I bet I could change your mind; might take a whole buncha booze though. :) Thanks for the vote and share. Nice one Dana. If I ever get a 'bad' tattoo I know what to do. Actually I know what to do now, ie., not to get one. simples. eh? 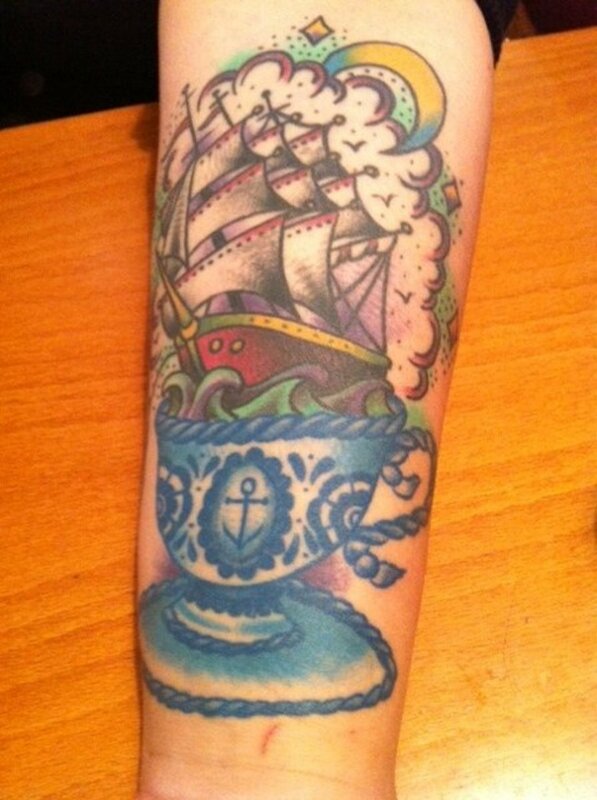 Highly creative hub here with plenty of useful ideas from the tattooed wonder. yeah, you. up/shared. Linda - Thanks for reading. There are as many opinions out there about tattoos as there are people. I really appreciate people like you that know that aren;t fo rthem, but can still appreciate them as artwork and means of expression. Nice artwork! I'm tat-free and intend to stay that way. I'm a fan of tattoo's on others and admire them often. Excellent hub advice!!! Heather - I am afraid you might be right. Some people might still be in live with that faded distorted whatever-it-is they are sporting. Good fo rthem! Not so good for us onlookers. 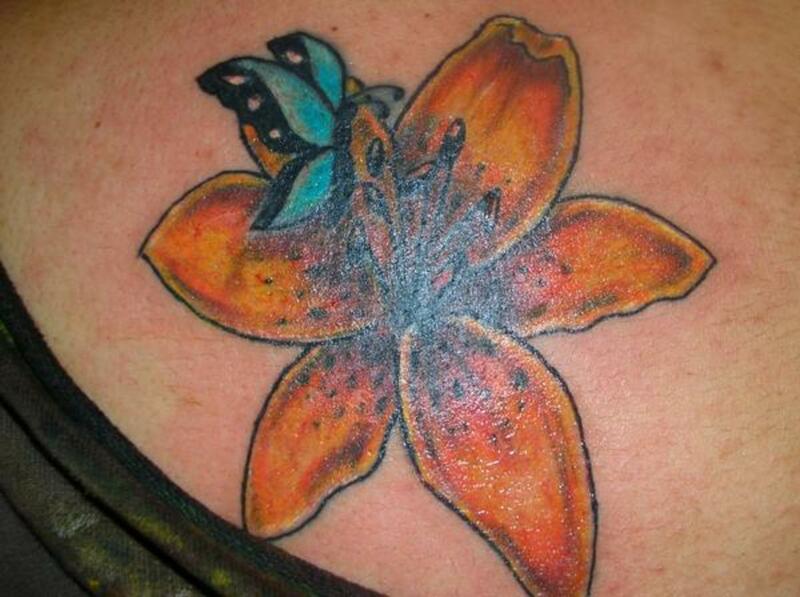 I also have a lily in my immaculate heart of the virgin Mary tattoo on my arm. And I agree, some people should really get their work redone, but the problem is that I don't think they realize how terrible it is to begin with. It's probably pretty golden to them. Nell Rose - I have seen some great add-ons to existing tattoos. 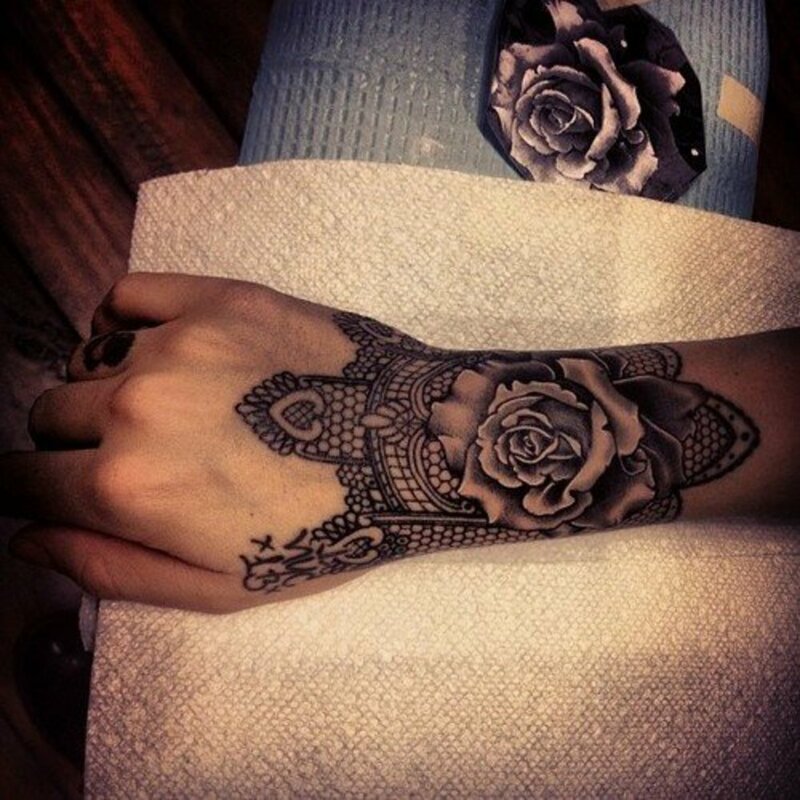 For example, a plain tribal band with flowers later added in. The end result was gorgeous. If you come up with an idea you like, go for it! I love my tattoo, it's a dreamcatcher. this is great, and what a good idea to reinvent it, or change it. I may just get another one now! lol! voted up! theclevercat - I love the idea of going from a sun to a moon! One of my tats is designed to be added to. I am sure over the years it will need retouching too. I can't wait to see what it turns into as it develops. I like tattoos a lot and plan to get mine (a sun) retouched into a moon soon as it's been 14 years already and I'm ready for a change. Great hub, and thanks for the tip about ColorTraition! Voted useful. Jeanieinabottle - I was amazed by these cover up photos when I saw them on my friend's website. I would love to watch him do one. Maybe he will let me sometime. I am glad you still like your faded tat. That is the most important thing afterall, isn't it? 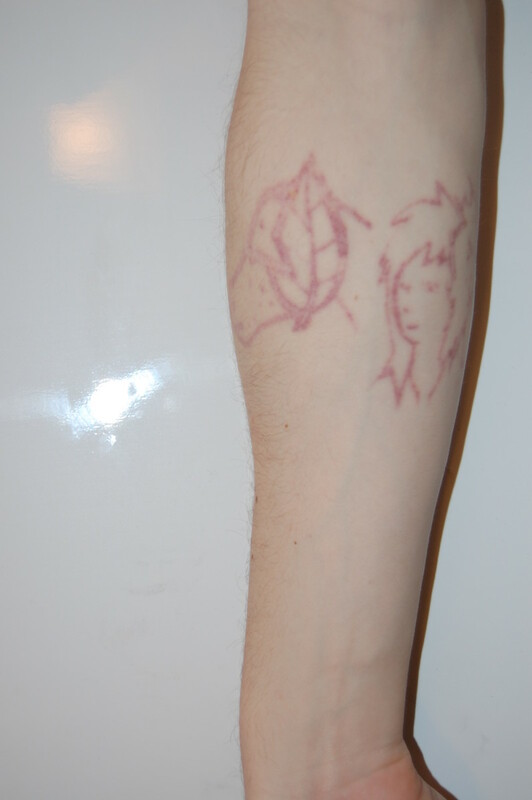 I have only two tattoos, but the oldest one is starting to fade a bit. I was warned that yellow and white could fade, but I did it anyway. Oh well. I still like it. Perhaps I will get it touched up and add more to it one day. Thanks for sharing and great hub! Voted up! oooh! I can understand the urge to do something about it. I hope you go through with it and get something you are happy with. Good Luck! He wanted to avoid doing that too and he was 32 when he got his. Mine is of a mermaid, done in black, although it is a bit abstract! I would like it if it looked okay - it's really faded, almost blue looking. It also doesn't mean anything to me. It's nice to have something of some meaning. I thought maybe one day I could get it removed and then something else, but I might just get it re-done - as you said. It's on my side so no one really sees it anyway! Emma - do you mind if I ask what your tattoo is? You didn't pick the random butterfly out of the catalog did you?! Great hub. I have a tattoo which I hate. It was poorly done and most people ask me what it is supposed to be. My partner on the other hand has a perfect cherry blossom tree 'growing' up his back (the photo is on my cherry blossom hub). The difference is I was young when I had mine done and didn't think about what I wanted. I just went out one day with friends and picked any thing. My OH researched what he wanted and where to go, and it looks perfect. Bill, thanks for being among those that can see the artistry of tattoos. too many people still regard it as something only thugs do. i never would have thought it possible to change a tattoo so dramatically until i saw these photos. i just wish my words could express it as well as the pics. i wll get there! What an incredible difference in the before and after pictures. 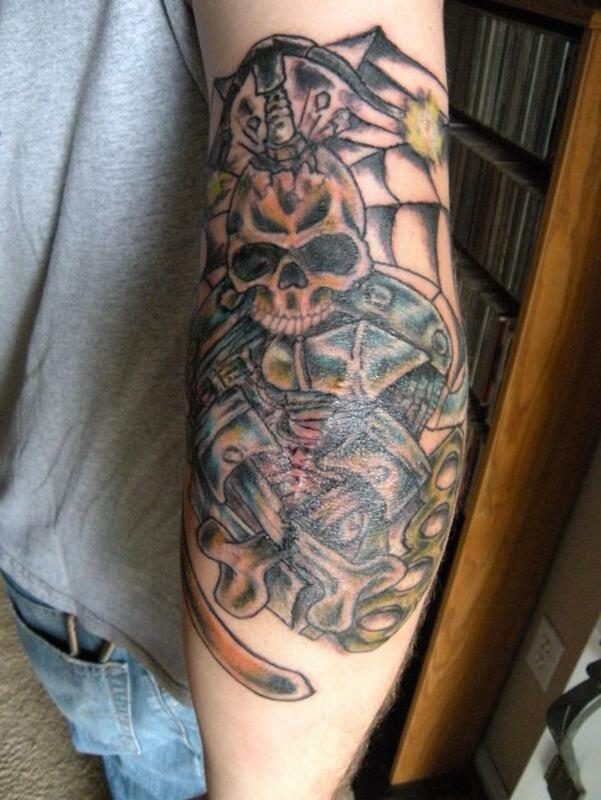 I have never had a tattoo but they do fascinate me and the quality of the artwork is not to be scoffed at. Thanks for giving me a greater appreciation of the art. Great hub and amazing cover-ups or should I say re-inventions. You have a great artist working on you! you're right. it is amazing. 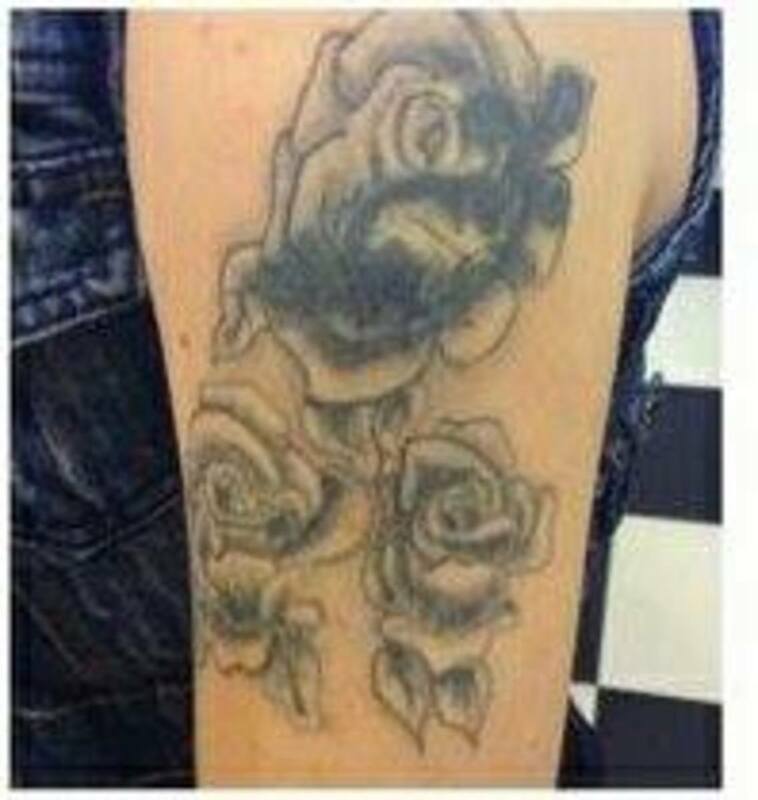 that is why i really wish a lot of people with bad ink would get it redone instead of getting new stuff! Nice hub. 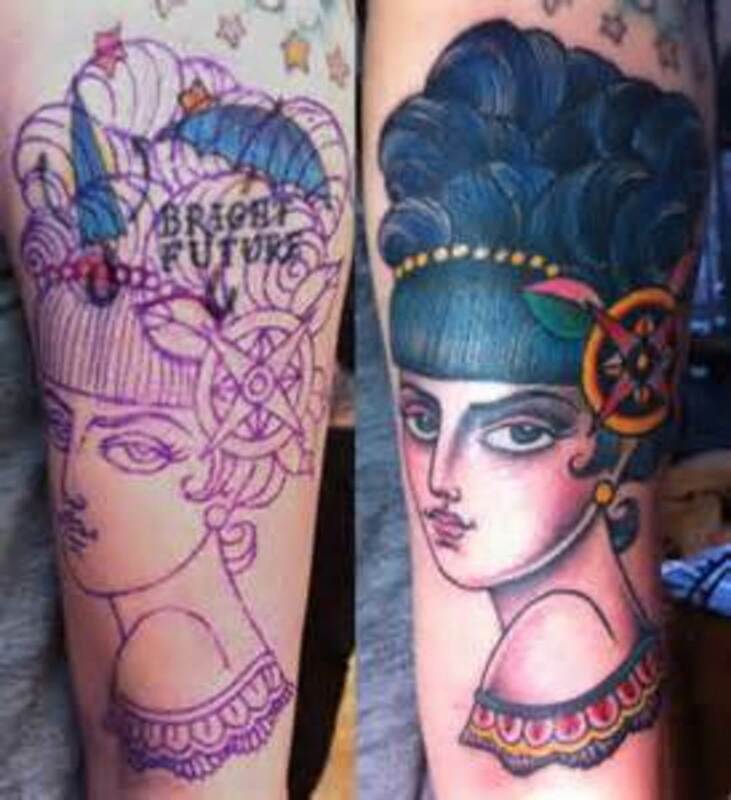 It's amazing how a good tattoo artist can take a botched job and tweak it into something new.